We have introduced many aluminum sheet in the past, and today we are going to introduce you another kind of aluminum product-the PP cap Aluminum foil, Bottle cap material, color coated cap material. The PP cap aluminum foil are applied in several of materials bottles. The products are laminated with paperboard and aluminum foil, aluminum sealed on bottle and cardboard left in the cap after heating. It is widely used in the open sealing for medicine, foodstuff, cosmetic and industrial oil. It has the excellent property for protecting damp, seepage and being anti-fake. The foil is really safe, healthy and quick and also raises the added value of the product. 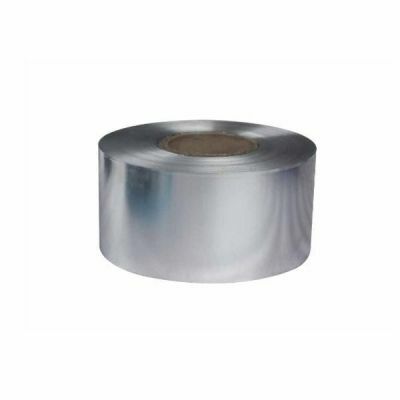 This kind of aluminum sheet has many application, for example, the composite aluminum foil sealing films produced by our factory, such as polythene(PE), polypropylene(PP), polyester (PET), polyvinyl(PVC), hot melt glue, easy film and glass etc, mainly used for the sealing of bottles on food, medical, and chemical products. The composite material electromagnetic induction sealing technique is the advanced sealing means recognized by the world now, and its contactless heating is suitable for sealing of sealing of plastic bottle(PP,PVC,PE,ABS,HDPE,PS and DURANCON),glass bottle and various composite plastic hose so currently it is the most advanced technology for sealing bottles in such industries as pharmacy, food, grease, daily chemistry, domestic chemistry, and agricultural chemistry. If you have any demand for the PP cap Aluminum foil, Bottle cap material, please contact us, and we will give you the best recommend!